When you really think about the shapes of consumer products, it seems like most things look the way they look because of some industry standard that was set long ago. True innovators are the ones who challenge the status quo and come up with new ways of looking at familiar objects. 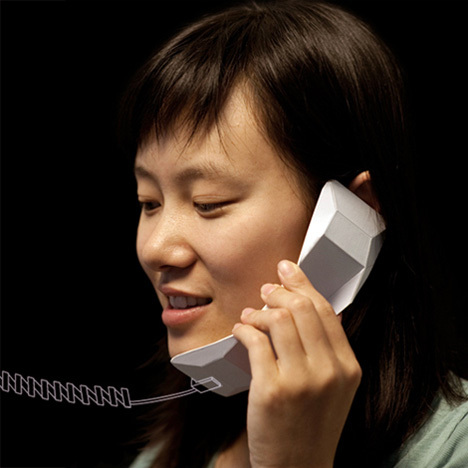 Designer Chengyuan Wei is challenging the traditional phone handset design with this beautiful and simple Origami Phone. The “Aha!” moment for Wei came upon disassembling an old telephone handset and discovering that the functional parts actually made up a very small portion of the space inside the handset. The designer then began to wonder what other forms and materials could be utilized to make the same object. 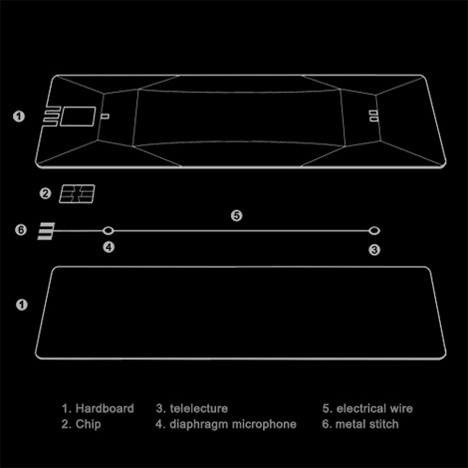 Cardboard was the chosen material, and he used it to create a telephone handset that starts out flat before popping out into and origami-type device. 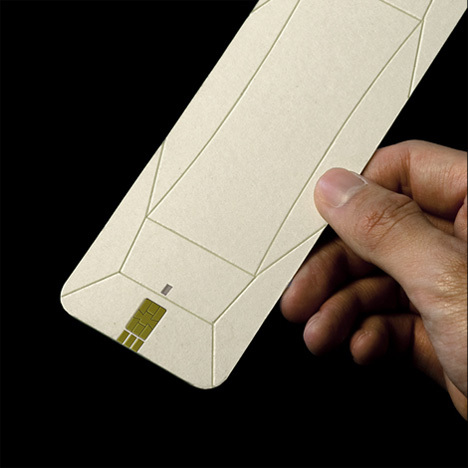 Because the required electronics consist of very thin components and wires, they fit easily within the slim cardboard design. 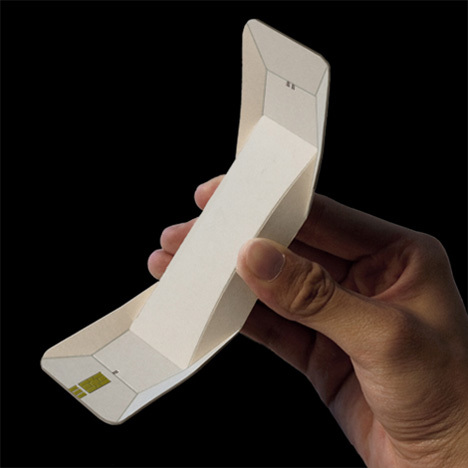 The Origami Handset isn’t meant to be an entire phone; rather, it is a plug-in receiver for a landline or cell phone. It was a practice in design and Wei has no plans to produce it, but all the same it’s a beautiful exercise in minimalist invention and unconventional thinking.